A combination of intelligence and continuous target observation ensured no civilians were harmed, it added. There was no confirmation of the attack from IS or its supporters. 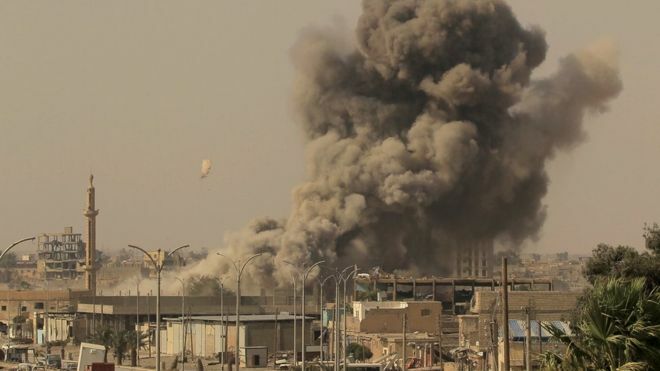 However, the group's Amaq news agency did say 14 people, including seven women, were killed in US air strikes that targeted al-Shafah on Tuesday. The activist-run Deirezzor24 website also said the village was hit that day. The coalition says the group has lost 98% of the territory that it seized across Iraq and Syria in 2014, when it proclaimed the creation of a "caliphate".